Americans are paying tribute today, Memorial Day, to the sacrifices of service members in the nation's earliest conflicts and the newest. 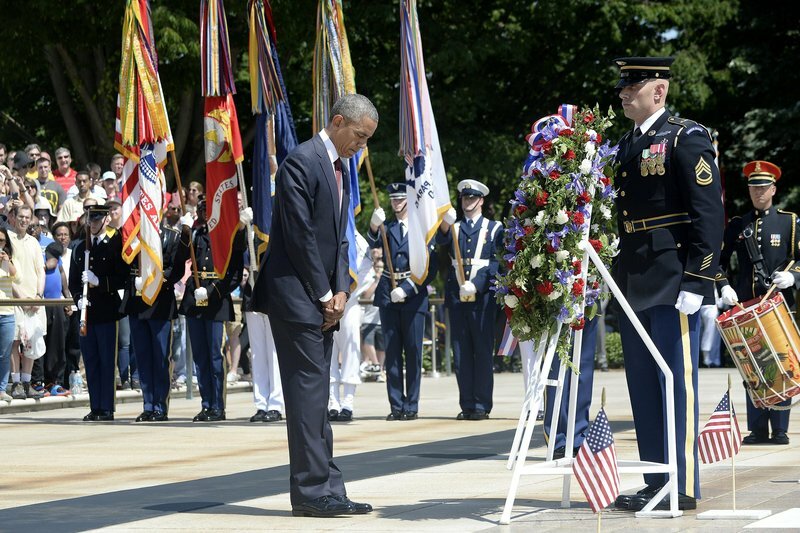 Some 5,000 people were at the grounds of the cemetery, which Obama called "more than a final resting place for fallen heroes." It is, he said, "a reflection of America itself. A reflection of our history, the wars we've waged for democracy, the peace we've laid to preserve it. "It is a reflection of our diversity, of people from different races and creeds who fought for the ideals that bind us as one nation."